We Yashoda Mica & Mining Pvt. ltd. jaipur, Rajasthan, Based Unit. We Offer Indian Black Slate at a Affordable Price We are prominent Exporter, Manufacturer, Supplier, Trading Company of Black Slate in Jaipur, Rajasthan, India. Our organization is engaged in offering ITA Gold Limestone to valued clients. These limestone are checked with various parameters and ensure before sending it to the clients. 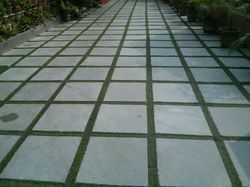 These limestone are easily adjustable as per the need of the clients. 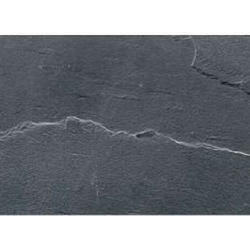 We offer a wide range of Panther Slate Stone for our clients to choose from. Widely used in various sectors such as residential, Shopping malls, Institutions and others, our range is in high demand by our client spread across the nation. Available as per client’s specifications these can be availed at industry leading prices. Our top quality range includes culture grey that is available in rustic finish, which is successfully meeting the contemporary demands. These stones are widely used for various construction purposes. We present ourselves as a very popular firm in the manufacturing of White Slate Mosaic Sandstone Tiles. These qualify to add grace to your house and building. The perfect finish is something on which your house can flaunt its beauty. Available Edges: All four edges Hand Cut / Hand Chiseled. All Four edges Machine cut / Sawn. Available Thickness: 15 mm to 50 mm with a tolerance of ±5mm. Available Slab Sizes: Cut to size slabs Up to 2000 mm length and 600 mm width.